CHELSEA’S HEART TRIPPED at the sight of the bright yellow Do Not Cross police barricade tape and blue-and-white flashing lights. Peering through her windshield, she couldn’t tell for certain this far down Willowbrook Avenue, but it looked as if all the activity was in front of the Sinclair Art Gallery. It was too early for any of her colleagues to be at work. Whatever was going on, at least none of them would be hurt…or worse. "Love the suspense, love the romance, love the storyline. . . . I only put it down when I really had to. I could visualize the characters and the scenes. . . . Definitely five stars plus." Elegant wasn’t a word she usually associated with herself nor, frankly, was it something she normally strived for. But tonight? She thought she’d hit the mark. It was important to her to set the right tone. Not just because she’d put so much personal effort into the event, but because of her goal to be the next curator. She wanted to ensure that Mrs. Sinclair found absolutely no fault with the evening…or her. 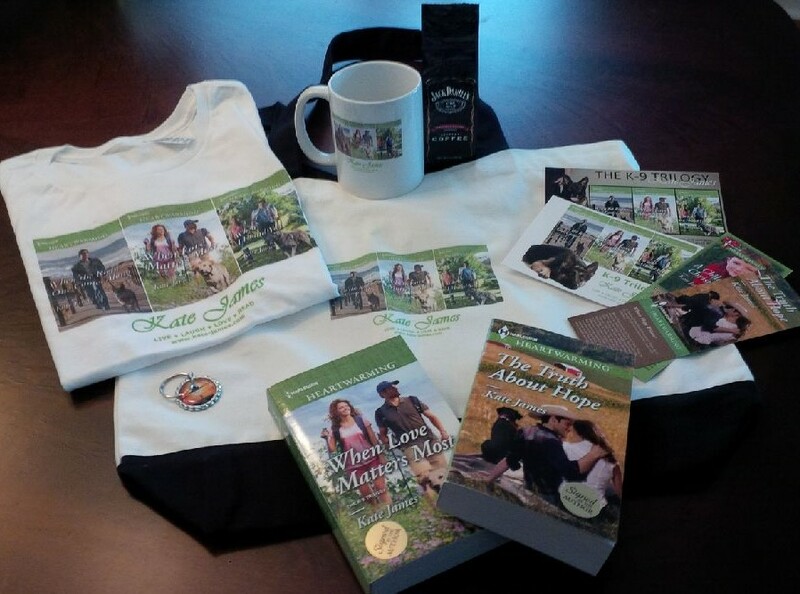 "Kate James is excellent at writing gentle, sweet romances. Her books are so easy to settle into. This particular story brought in an element of mystery with an unsolved crime and some strange things happening. 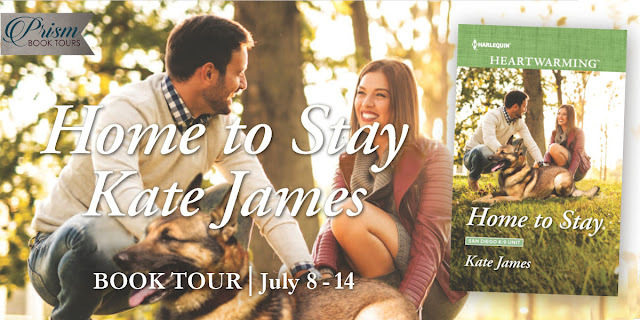 I enjoyed that aspect of it even though the story kept a pretty sedate pace. . . . you cannot go wrong picking up any book by Kate James. Especially if you love a good, sweet, clean romance." “I hope I’m not underdressed,” he said. Chelsea felt the heat rise to her cheeks. She obviously hadn’t been as subtle in her perusal of him as she’d hoped. “Oh, no, you look perfectly fine.” Now she could feel her cheeks burn even more. “What I meant is your attire is fine. Black tie is optional. 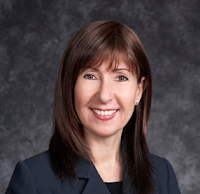 Are you here for professional or personal reasons?” she rushed on, wanting to change the subject. "I liked how they worked together and tried to catch the bad guys. I was sure that I knew who was guilty, but the author kept me reading. The ending was good, and I would like to read more about these characters." “Help me understand what, exactly, this painting is supposed to represent.” The deep voice, with a touch of humor, had Chelsea glancing over her shoulder. "The word I'm going to use to describe this story overall is: gentle. The mystery is gentle, without any heart-pounding drama; the romance is gentle--sweet, but not overly dynamic chemistry and drama; the characters are gentle--the kind you want for neighbors. 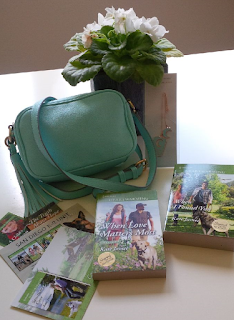 This is a perfect read to escape and enjoy your time spent in small town Camden Falls and it's exactly the kind of book that I was in the mood for." THE FIRST THING Sam noticed when Chelsea walked out of the back was that she looked…taller. He slid his gaze down and saw the shoes. Unless he was mistaken, they were the same shoes she’d worn the night of the exhibit, but they worked even better with the skirt she wore today. Caught in the act, he realized when he looked up and saw Chelsea’s amused smile. “Ready to go?” he asked, proud of how smoothly he managed to recover from his lapse of professionalism. "The conflicting turn of events in this story, keeps the reader captivated. There is action, a touch of romance, humor, mystery, suspense and intrigue within the pages of this book. 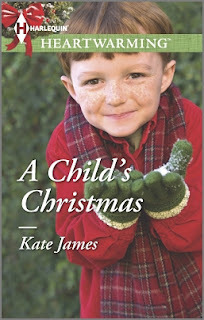 As always, Kate James does a magnificent job in creating characters the reader feels he/she knows and scenes portrayed so well, the reader will feel he/she is actually there. With the various elements of subject matter in A Priceless Find, this is one of her best creations in the literary world. The reader is kept hoping for a “happily ever after” but unsure of the outcome until the end of the tale. This definitely earns a Five Stars rating." Very gentlemanly, Chelsea mused, how Sam had walked her to her car at the gallery and waited until she’d pulled out of the parking lot. It was a thoughtful gesture. Although Detective Sam Eldridge was about as far from what she considered her “type” as she could imagine, he intrigued her. He was undeniably attractive, but it was more than that. She found his personality appealing, so steady and solid—and her complete opposite. 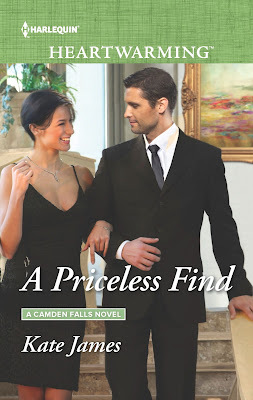 "Anyone who loves art will be intrigued by Kate James’ romance novel, A Priceless Find, as she takes us to the small town of Camden Falls via Chelsea Owens. . . . The case is complicated, causing suspicions to flit from one person to another, creating a rollercoaster ride for Chelsea’s relationship with Sam. . . . If you’re ready to delve into the art world with an excellent writer as your guide, pick up a copy of A Priceless Find." As he pulled up in front of Sorley’s fifteen minutes later, he saw Chelsea’s car. One more thing to like about her. She was punctual. If things went well, maybe he’d be able to talk her into having dinner with him. One step at a time, he cautioned himself, as he walked into Sorley’s. She was sitting in a booth, facing the door, and noticed him right away. Smiling, she waved to him, and he felt that strange sensation in his gut again. 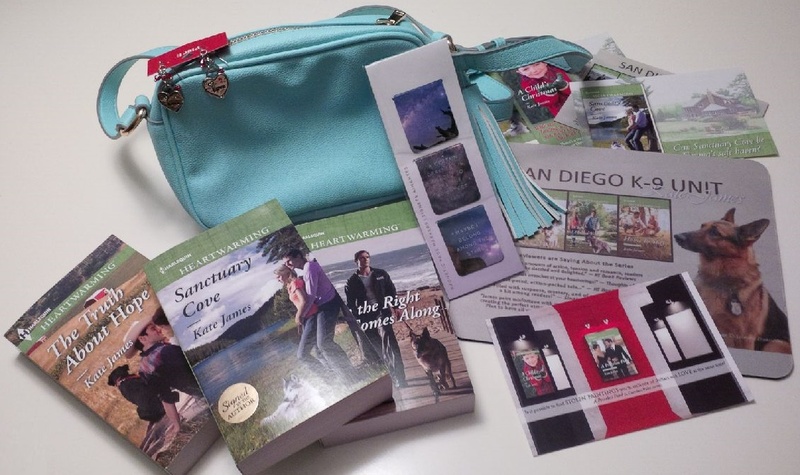 "Once again, Kate James has written a novel that warms your heart and makes you smile. It’s sweet, suspenseful and romantic, and the characters are delightfully genuine. Camden Falls feels like a place any of us could call home, except perhaps for the recent crime spree. *wink* A Priceless Find is a great read from start to finish!" Her first inclination was to follow the footprints to see where they led. Feeling a tingle on the back of her neck, she thought better of it. Slipping out the door, she locked it and hurried to her car. The footprints—and the possibility of someone having seen her inside the warehouse and maybe recognizing her car—made her rethink once more what she’d found and what it might mean. 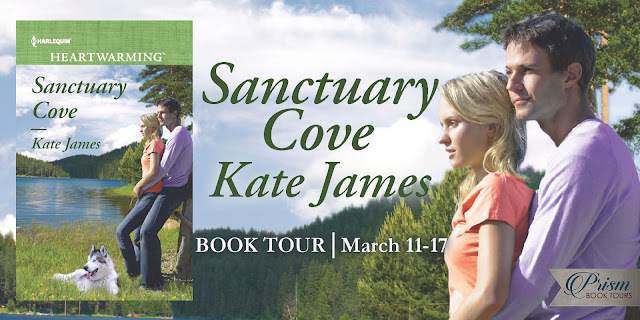 "I absolutely love Kate James writing style. She has a way that just makes me love her characters. Chelsea and Sam are just absolutely great. This sweet romance takes my breath away. " She could see amusement—and was it pleasure?—on Sam’s face. She could also see over his shoulder that Marla was watching them intently. “There’s something I’d appreciate your opinion on,” she said in a subdued voice. “Okay,” he said with a quizzical look, and led her through the door to the back and into his office. Then a stranger arrives bearing gifts for Jason—and for her. He's Daniel Kinsley, a lawyer who's grown cynical about family. But his kindness in making Jason's wishes come true offers him more than he ever imagined. Is there room in Paige's heart for a man who could fulfill all their dreams? And not just at Christmas! - Prize pack available for Canadian and US residents. Should the winner be international, e-books will be substituted. Wouldn’t it be fun to throw him off his game? Get him to be a little more spontaneous? And she was known for her spontaneity! There was no ring on his finger—she’d checked—and she was sure he’d be the kind of man to wear one if he was married. She went into her apartment, hung up her coat and scooped Mindy into her arms as she headed to the kitchen. She placed the purring cat on a kitchen chair and searched through her handbag for the business card Sam had given her. The name suited him. She wondered what the D stood for but wasn’t surprised to see the use of his middle initial. He just seemed to be the type. Stuffy was the wrong word. Proper was more like it. Mindy meowed and Chelsea scratched her behind the ears. Sam looked like someone who could use some fun in his life, she decided. It was less than a half an hour since he’d dropped her off. Chances were that he’d be home or wherever he’d been going. She tapped the card against her fingers and grinned. Grabbing the phone, she dialed his cell number. “Eldridge here,” was the brusque response. “Owens here,” she said, mimicking him. “Is everything okay? Did I forget something?” He sounded confused. Point for her! “A drink?” No question she’d surprised him. “That I was asking you out, and you didn’t want to tread on anyone’s toes.” That was something else she could admire about him. A core of decency she’d sensed even when she’d first met him. The way he’d obviously cared about Mr. Rochester. Letting her comfort him, although it had been clear to her that it was contrary to police procedure. “Can I assume you aren’t seeing anyone either?” She was being direct, even for her, but she might as well get it out there while they were on the subject. Sawyer Evans was in that languid state of semi-consciousness, waking from a restful sleep. It must have been the insistent chirping of a bird outside that had drawn him from his dreams. The muted glow of the early-morning light filtering in through the tent infused him with a sense of serenity. As a single father and a professor of law, serenity wasn’t something Sawyer experienced frequently. He smiled as he remembered that he’d categorically rejected the idea of a weeklong camping trip at Cuyamaca Rancho State Park with his sister, Meghan, and their parents when Meg had first suggested it. He wasn’t the rugged, outdoorsy type. Not by any stretch of the imagination. He thought of himself as the nerdy academic, more comfortable with his head in a law book than plodding up a mountain trail. He’d felt that way even before he’d left the San Diego County District Attorney’s office to teach, which he’d done to give him more time with Dylan after Jeannette abandoned them. Three days in, and who’d have guessed he’d enjoy the experience so much? And Dylan? He worried about his son becoming a bookish geek like him, and constantly encouraged him to play sports and spend time outdoors. But the apple hadn’t fallen far from the tree with his kid. Dylan had to be the most studious four-year-old on the planet. Yet Dylan loved it here. He seemed to be in his element, despite this being his first camping trip. Dylan had been full of energy and enthusiasm ever since they’d arrived. And the exercise was doing him good. The fact that he was sleeping in, and without the nightmares that had plagued him the last couple of years, made Sawyer immensely glad he’d let Meg cajole him—maybe bully was a better word—into coming along. Dylan was his life. He’d do anything for his son. He bolted up and stared at the tent flap, unzipped and fluttering in the light breeze. He immediately shifted his gaze to Dylan’s cot. From this angle and with Dylan’s form as slight as it was, he couldn’t tell if his son was in his sleeping bag. Sawyer wasn’t taking any chances. He scrambled out of his own bedroll and hurried over to Dylan’s. The adrenaline rush had him gasping for air. The sleeping bag was empty. Sawyer burst out of the tent and glanced frantically around. It must have been just past dawn. The sky was tinged with the first weak rays of sunlight, and a hazy mist shimmered across the water’s surface. Meg and his mom, both early risers, weren’t up yet. Sawyer’s heart pounded so hard, he was surprised it didn’t slam right through his rib cage. His gaze was drawn to the small lake that their campsite edged, and his heart stopped. “No. Please God…no,” he mumbled as he ran toward the water. He’d been teaching Dylan to swim, but that didn’t mean his son couldn’t have wandered into the lake and… No! He wouldn’t think about that. “Dylan!” Sawyer shouted again as he waded in. · a $20 Amazon gift card. 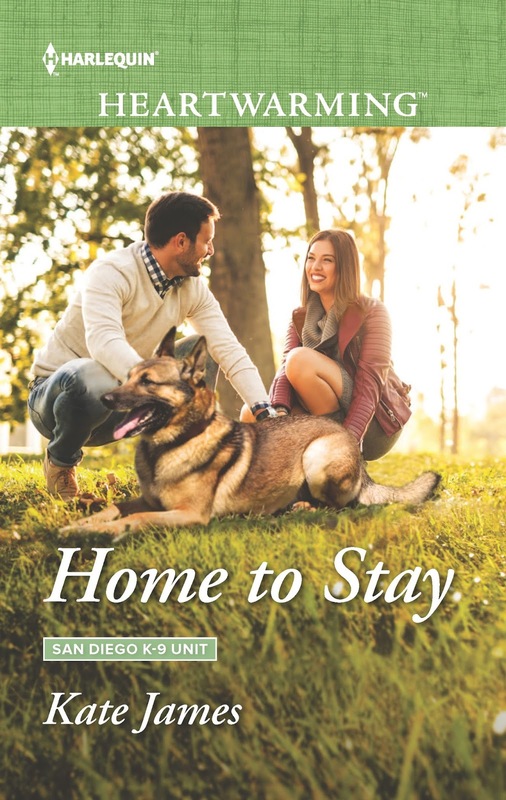 · Six winners who comment on any of the blog posts, will receive a signed book (US/CAN) of their choice from the first three books in the San Diego K-9 Unit series, When the Right One Comes Along, When Love Matters Most, or When I Found You. Suddenly, the dogs veered off the path. There was a distressed mew followed by the dogs’ excited barking. Emma and Josh rushed toward the sound and came upon a small fawn lying awkwardly on the ground. Emma pressed a hand over her mouth to keep from crying out. It was obvious that the fawn was injured. “What’s wrong with her?” she asked in a strained voice. All she could think of was the beautiful, injured elk that Josh had shot. She looked at the fawn, so defenseless and filled with terror, and froze. “You’re—you’re not going to…” Emma could feel the blood drain from her face. Emma was sure he hadn’t intended to sound harsh, but his tone snapped her out of her paralysis. Inside the cottage, she tried to remain patient until she finally saw Josh emerge from the forest, carrying the fawn. Relief washed over her. Leaving the dogs inside, she rushed out to meet him. She slowed her approach as she neared, not wanting to startle the fawn. “How badly is she hurt?” she asked in a subdued voice. “What are you going to do with her?” Emma knew the fawn wouldn't survive on her own in the forest. “How about here?” Emma asked. “Emma, you can’t save every wounded creature that comes your way,” he said softly. “Let’s get her checked over first.